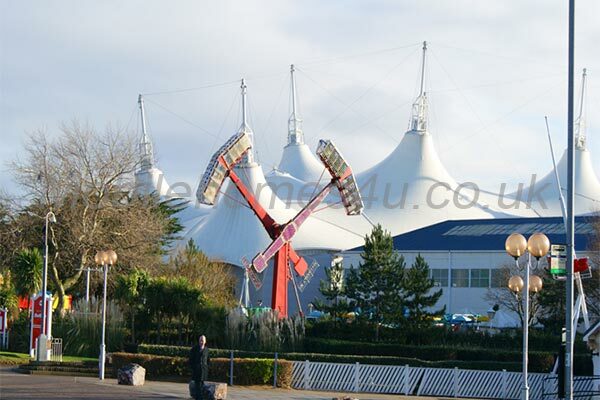 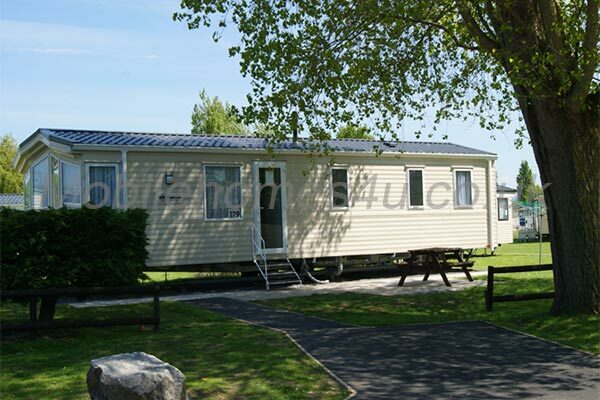 Sited on the Cambrian Coast Park in Borth, Mid Wales. 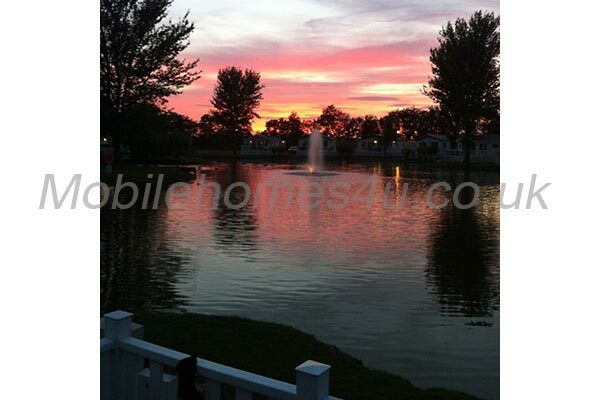 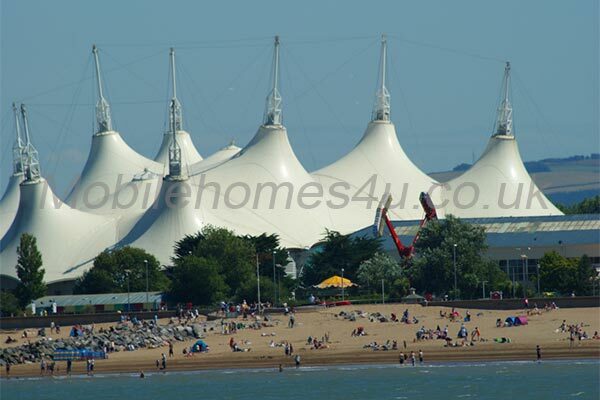 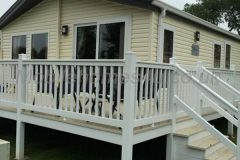 The site has many facilties (see below) including swimming pool and is just a few minutes walk to the beach. 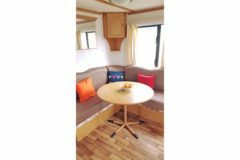 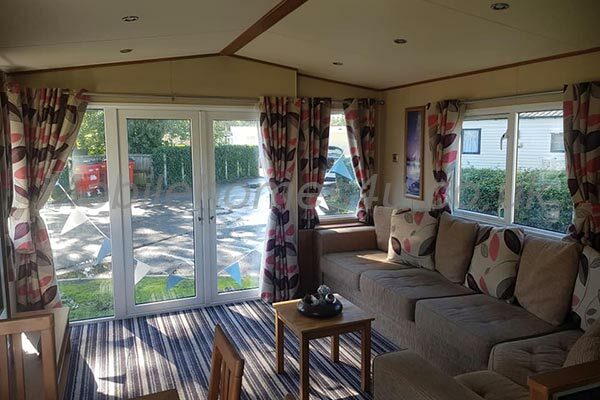 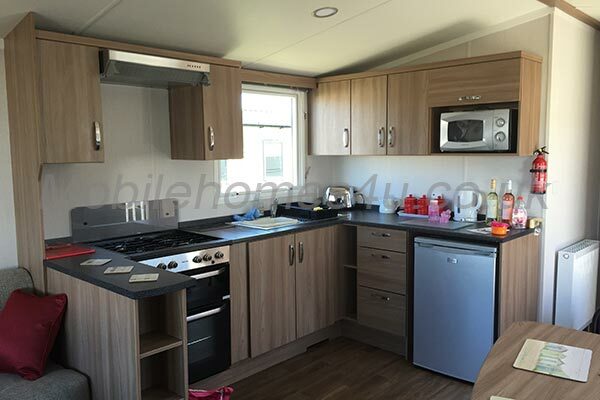 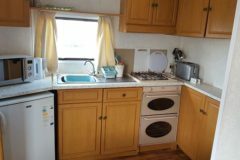 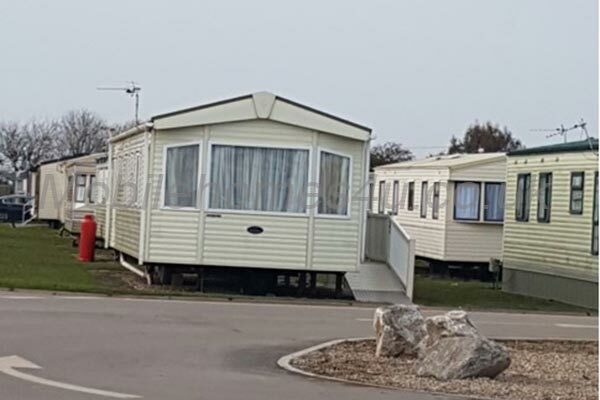 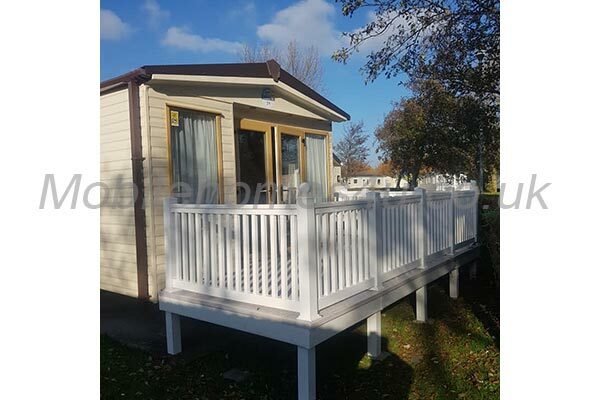 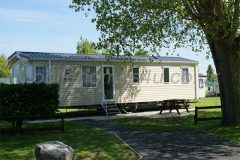 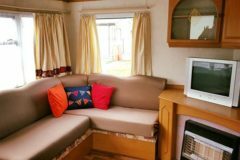 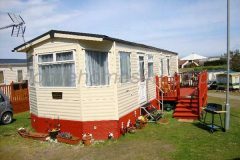 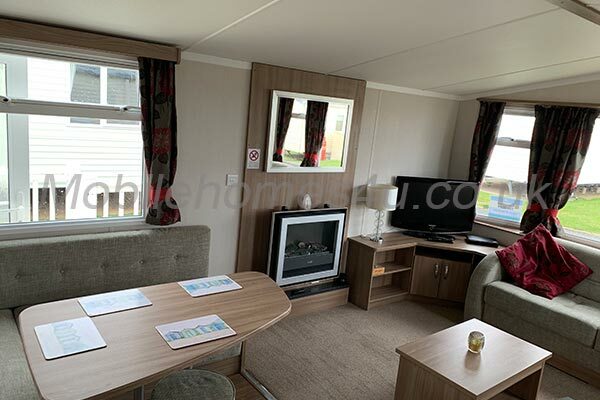 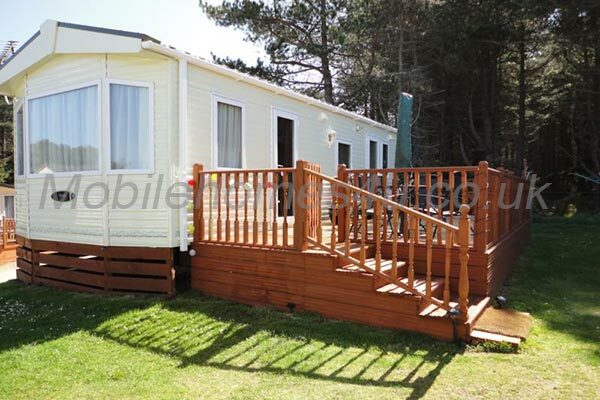 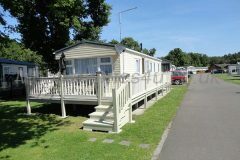 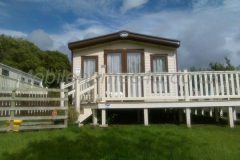 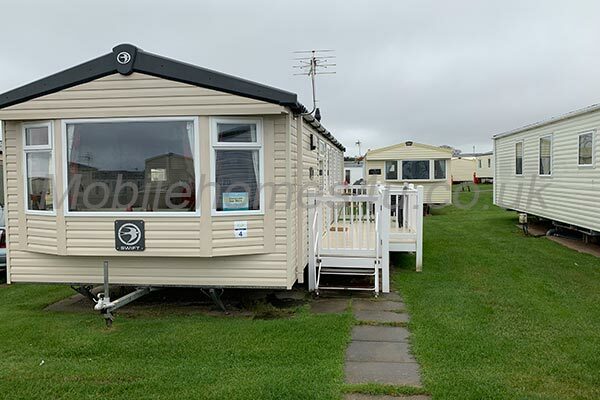 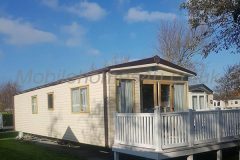 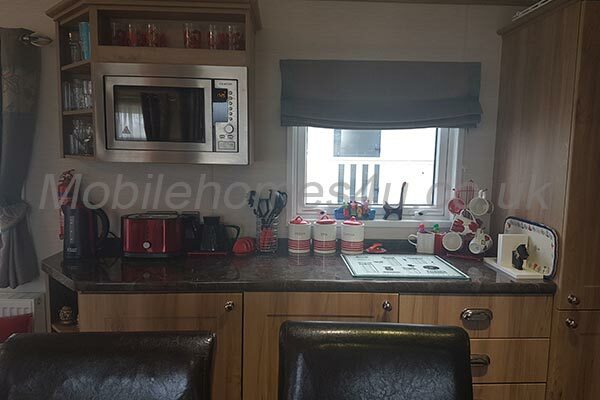 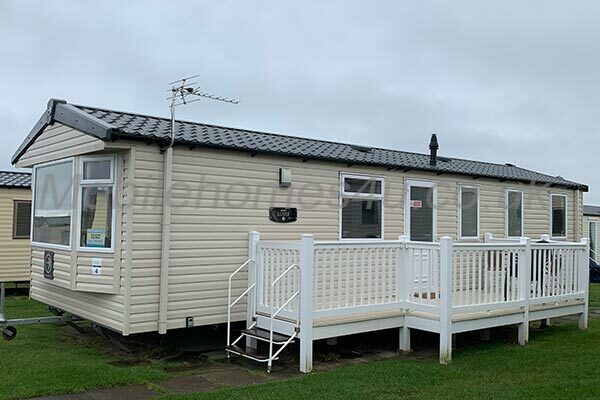 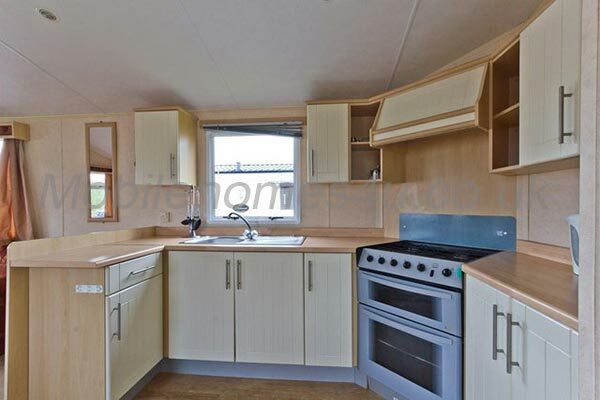 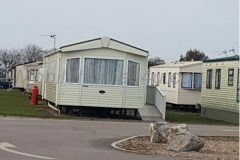 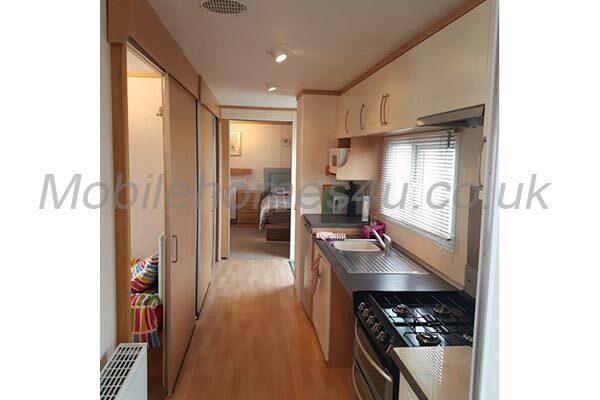 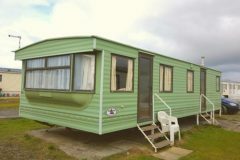 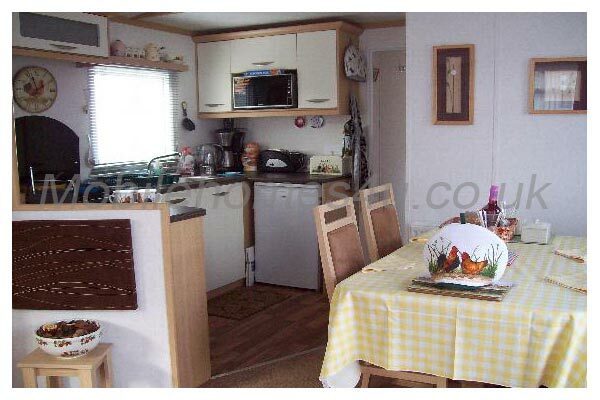 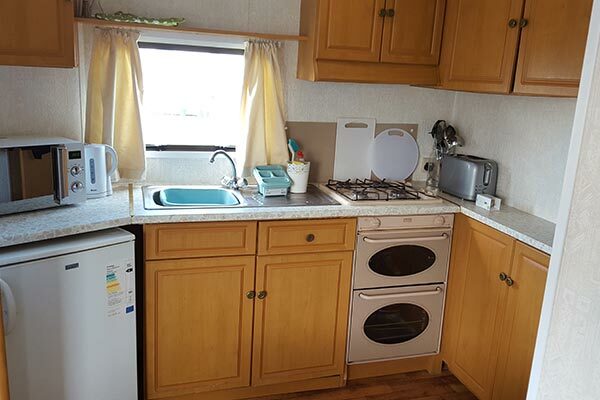 The caravan newly modernised with all new duvets, kitchenware, cushion covers, double mattreses, etc and has electric heating. 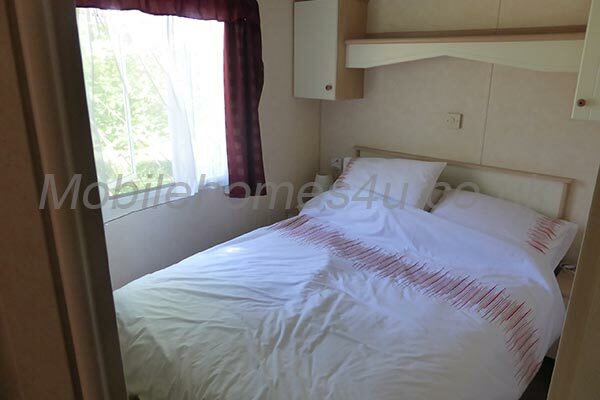 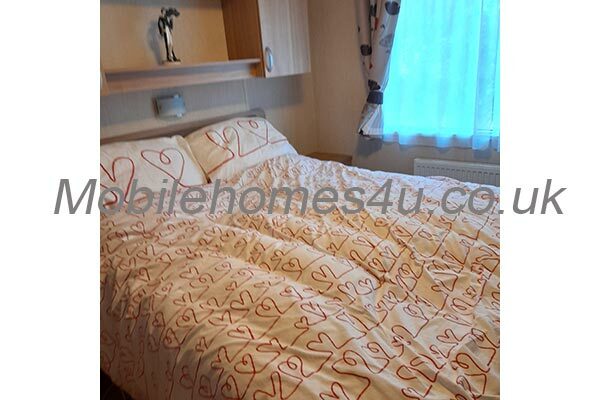 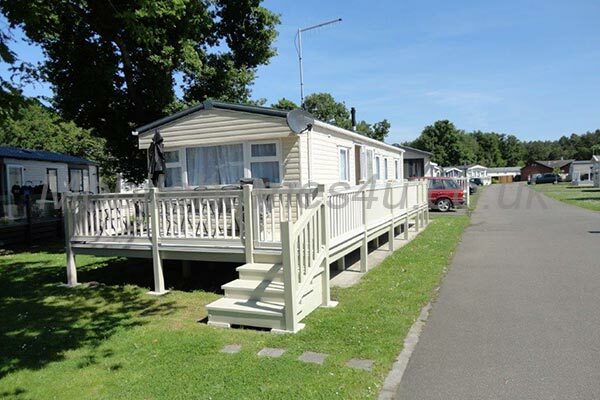 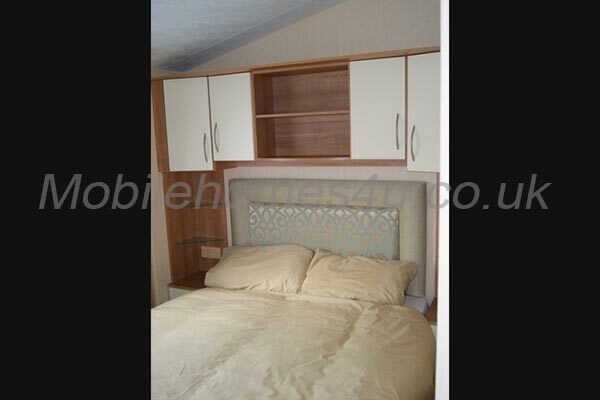 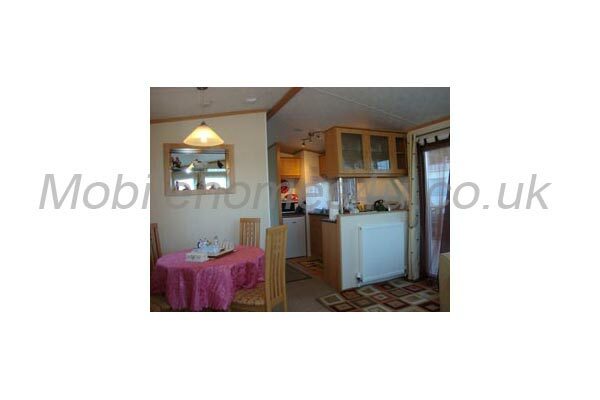 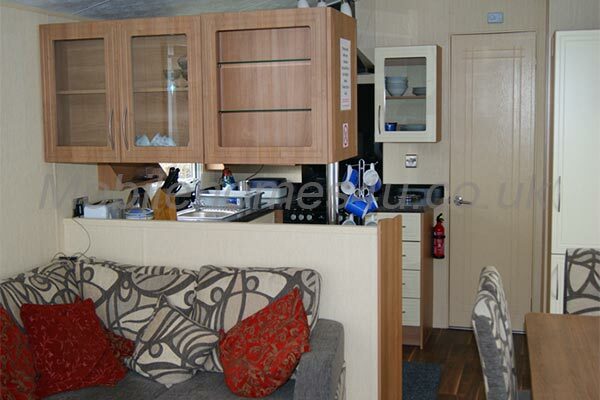 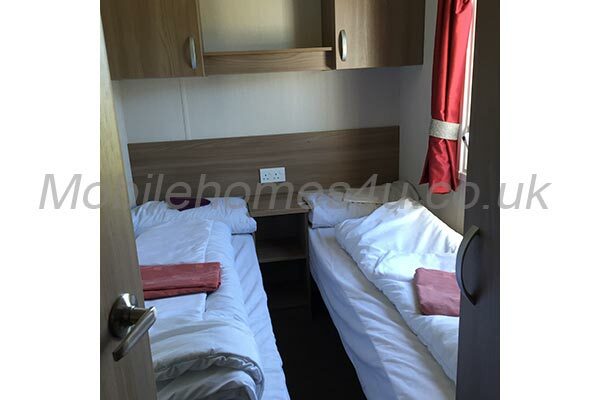 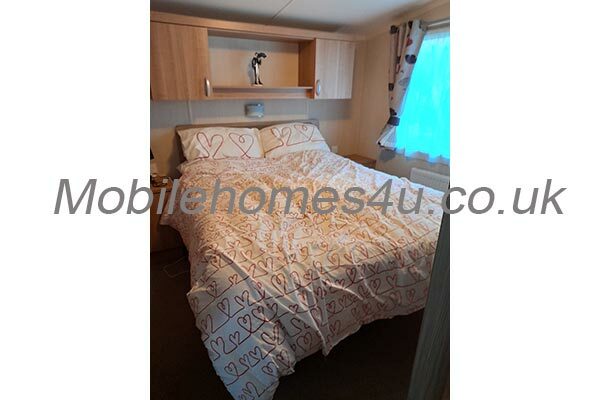 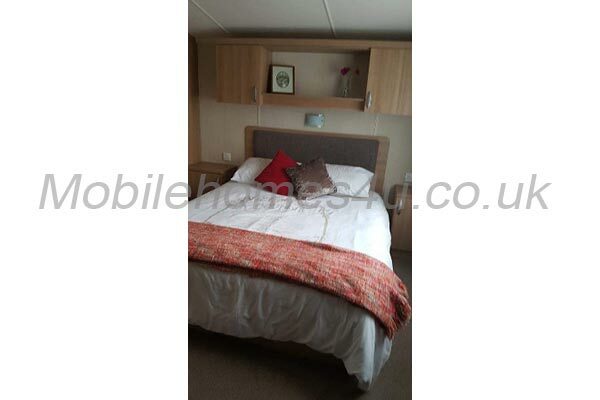 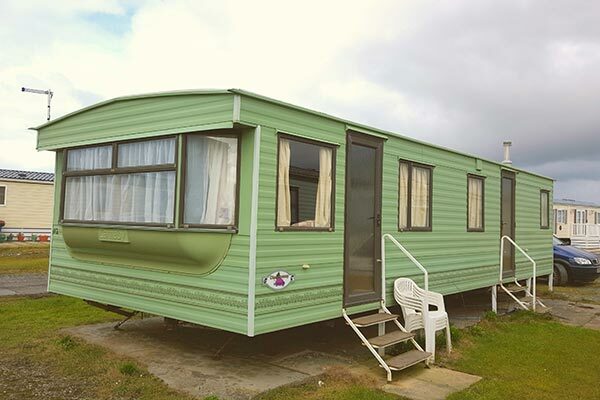 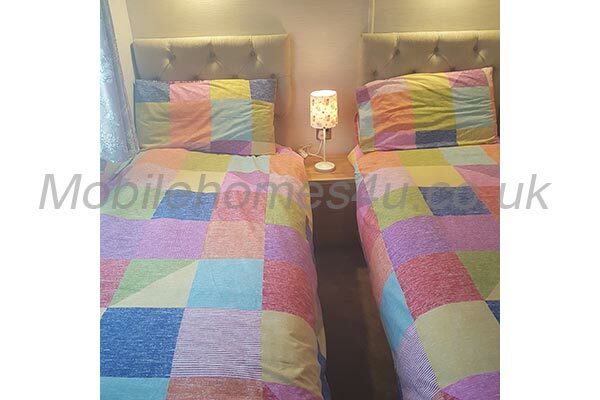 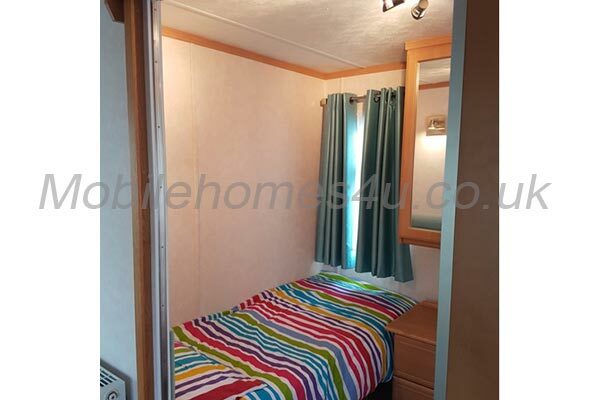 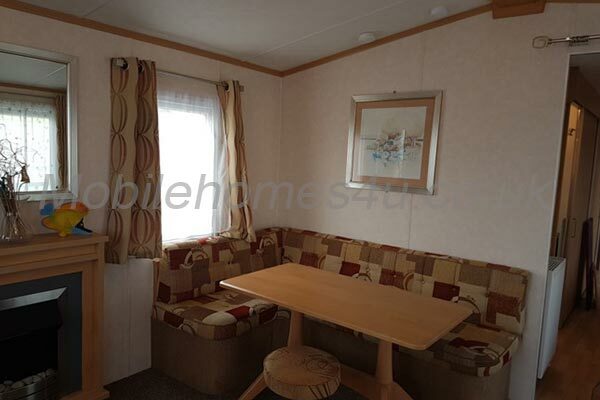 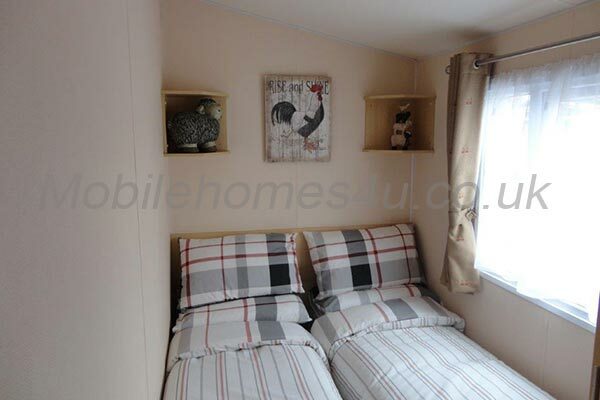 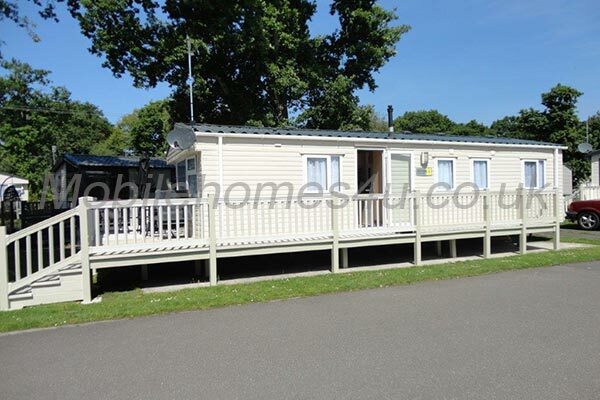 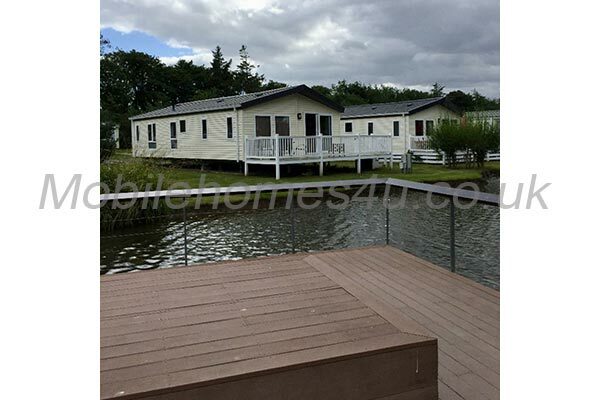 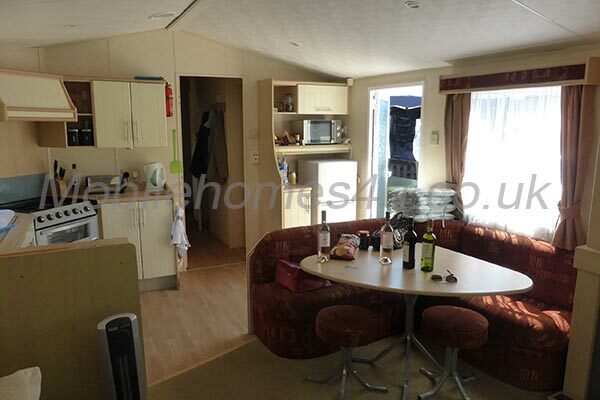 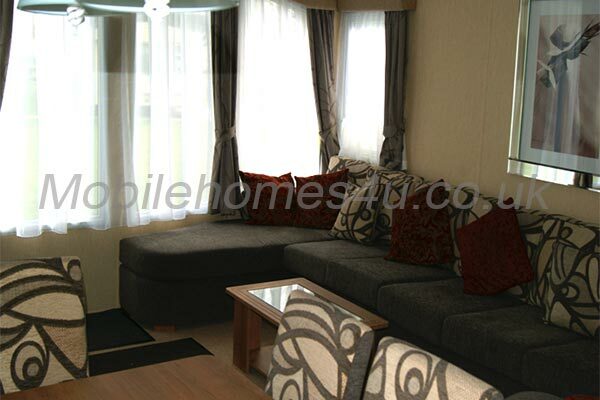 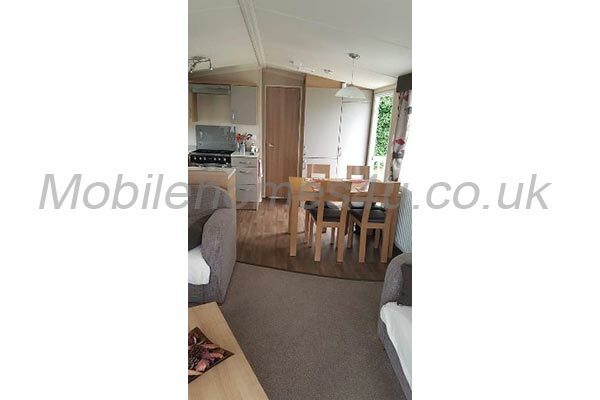 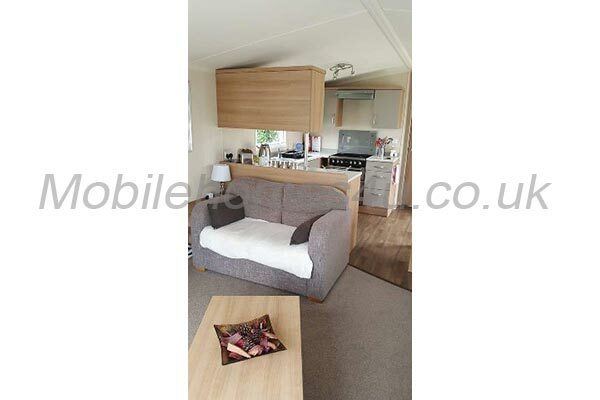 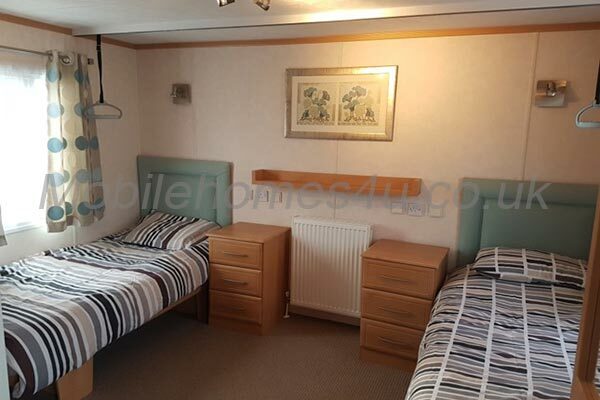 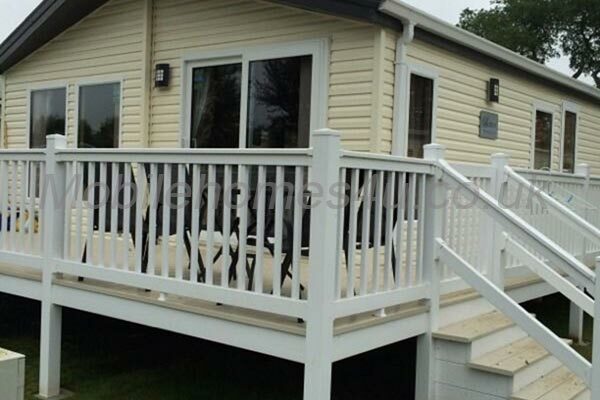 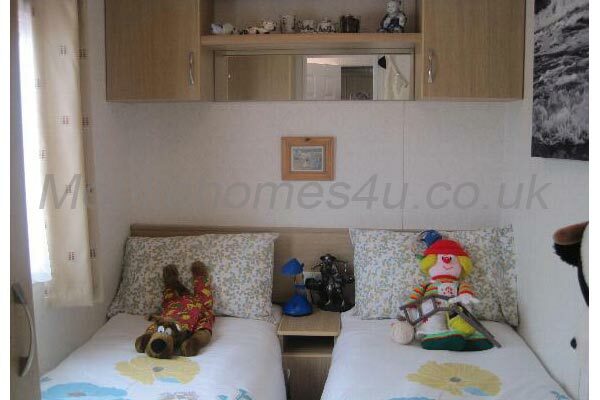 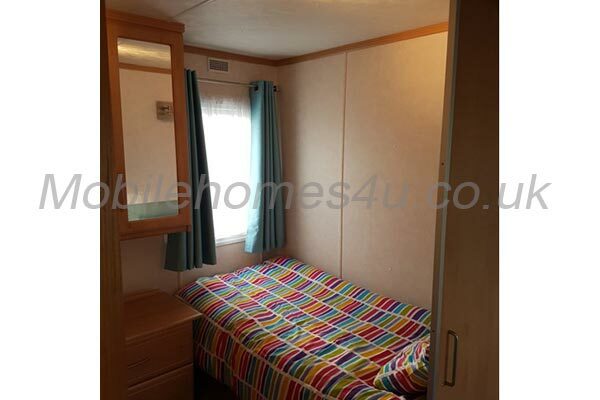 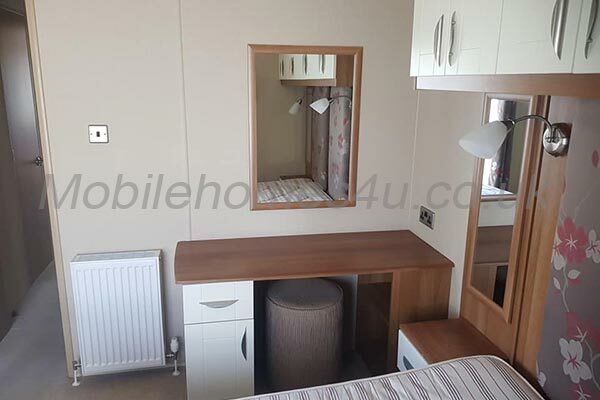 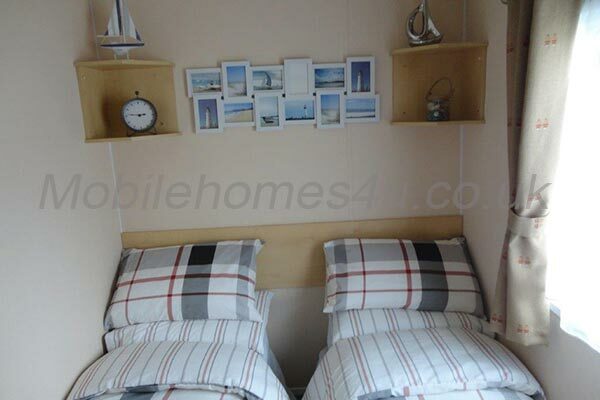 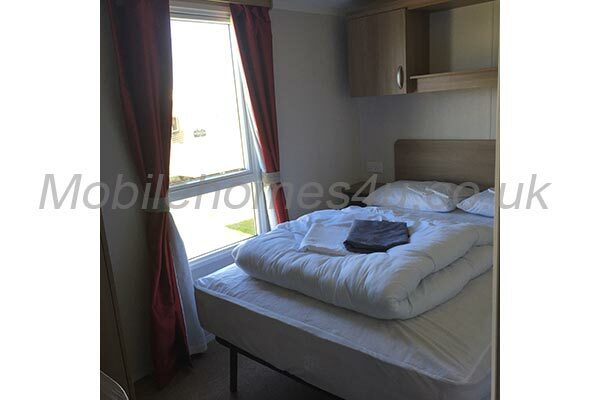 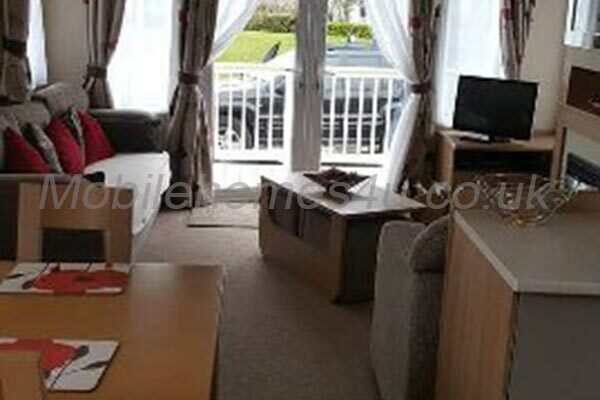 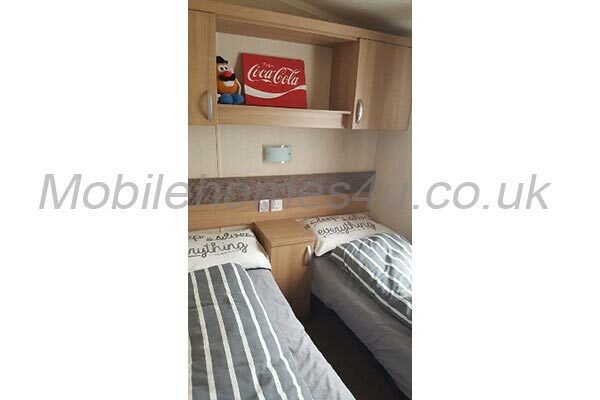 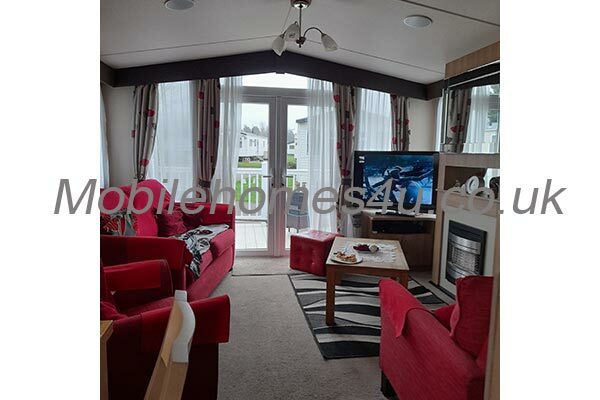 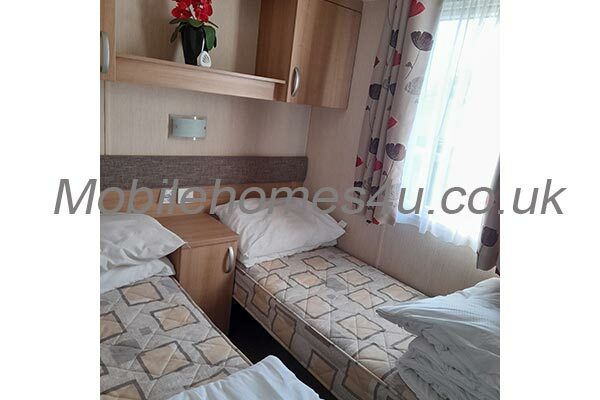 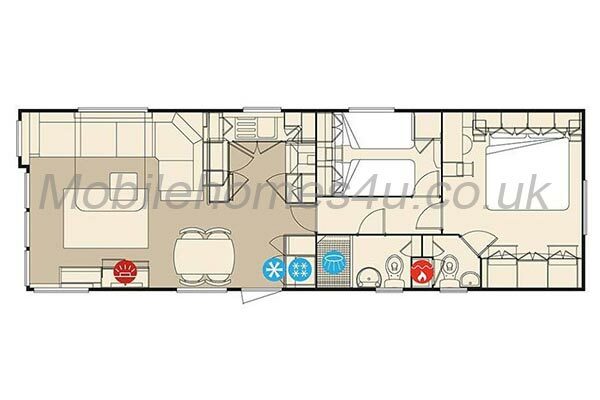 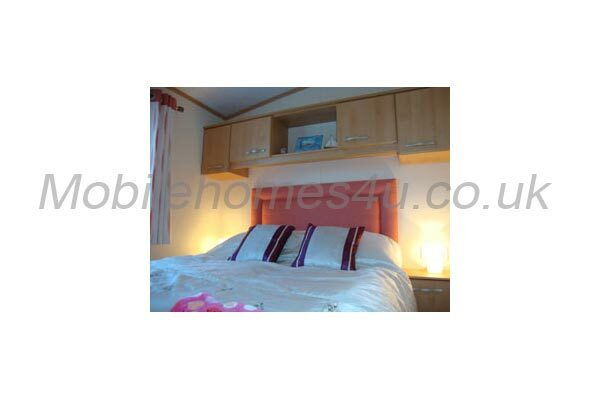 It has 2 bedrooms, a double and a twin also benefiting from a double fold out bed in the lounge. 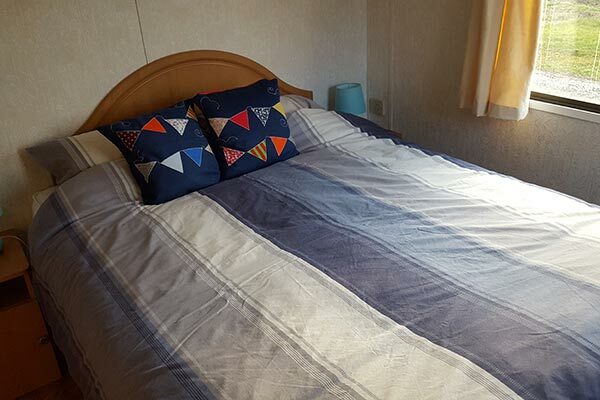 All duvets, mattress protectors and pillows are brand new for this season. 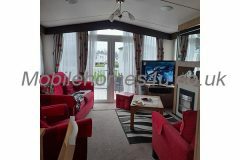 The living area is all open plan with lounge, dining area and kitchen. 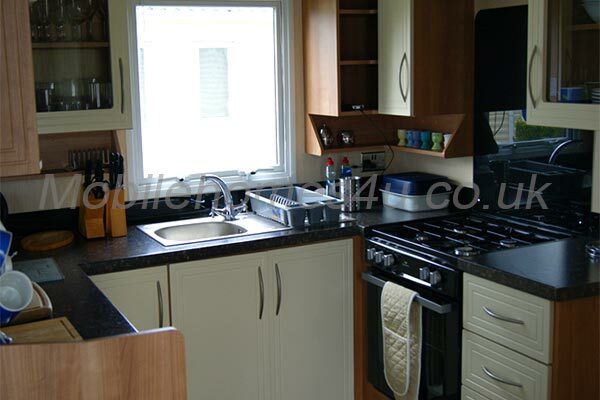 The kitchen is fitted with all new, modern appliances. 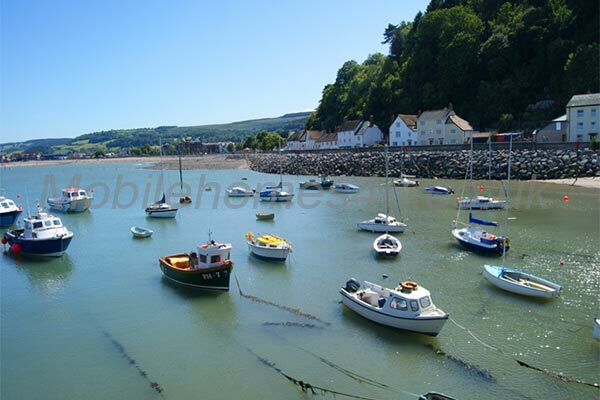 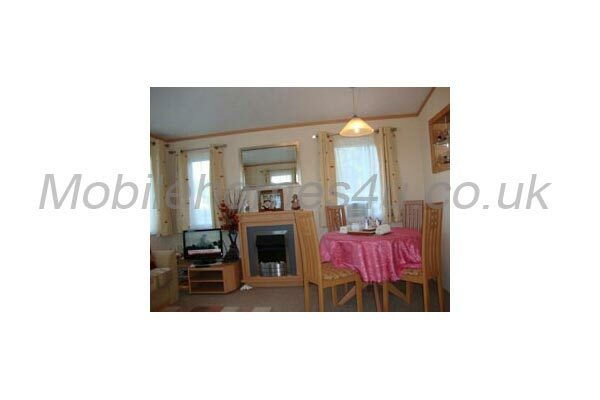 Mintues away from the town of Borth with cafe’s, bars and shops as well as the picturesque coast. 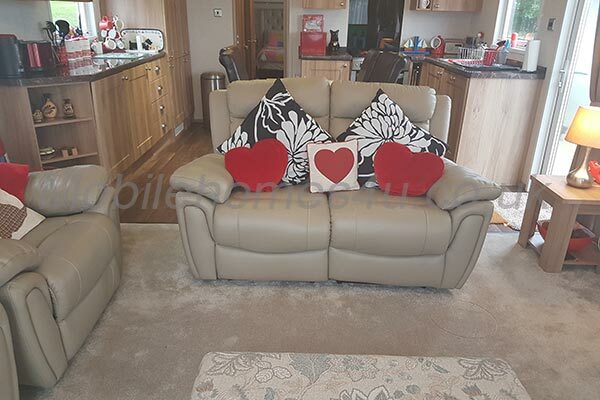 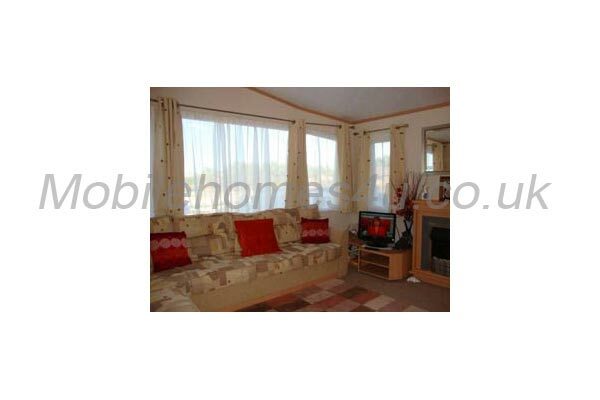 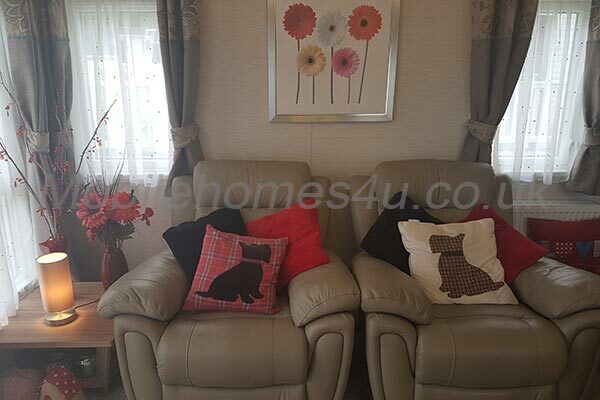 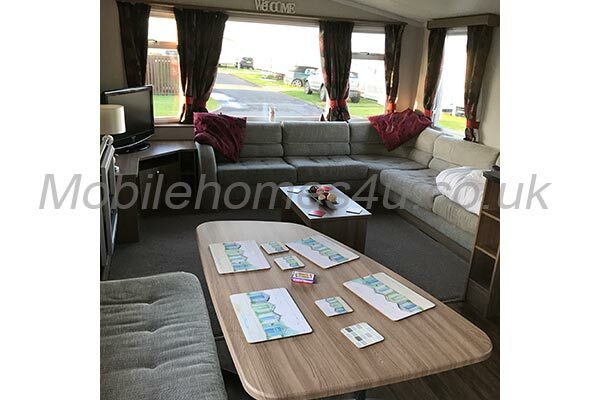 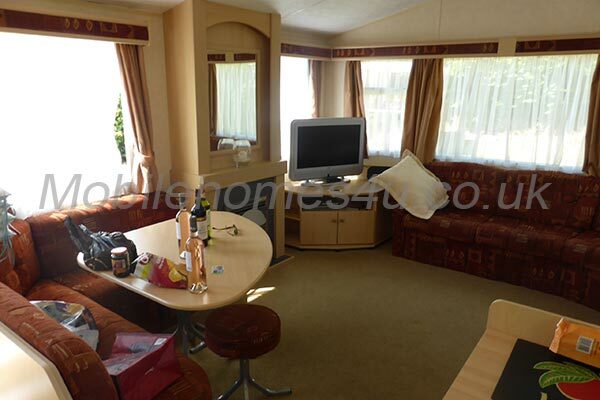 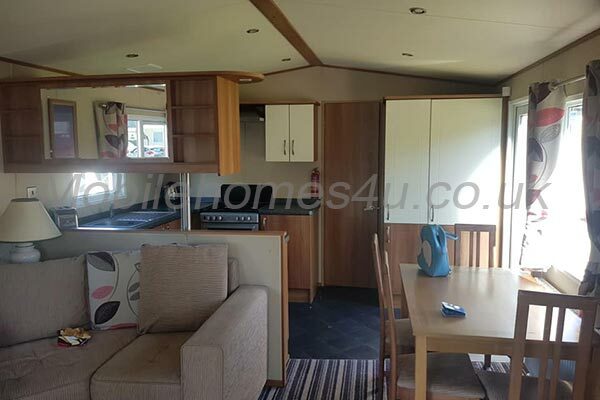 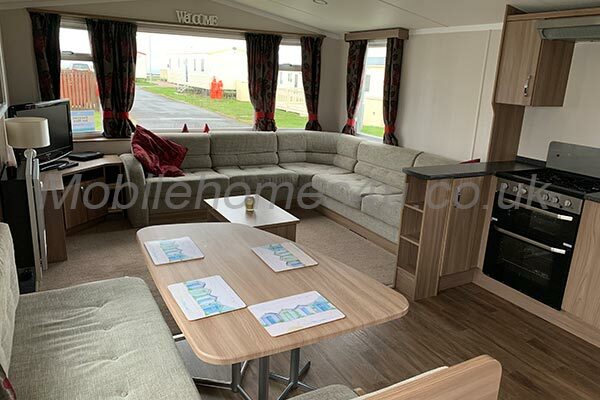 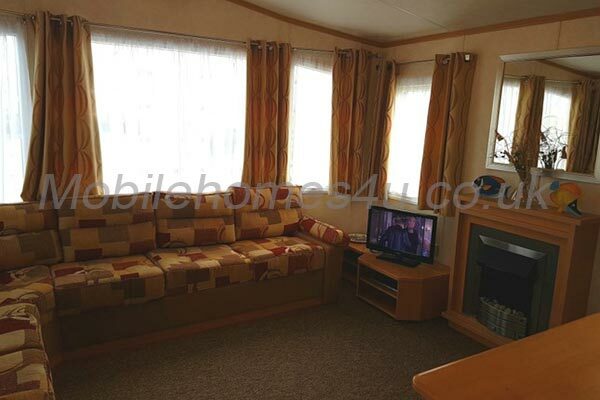 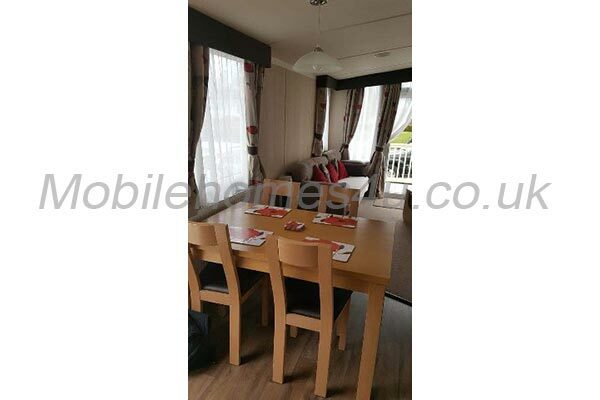 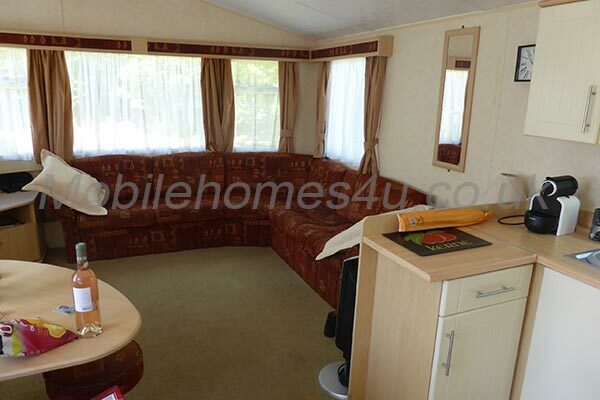 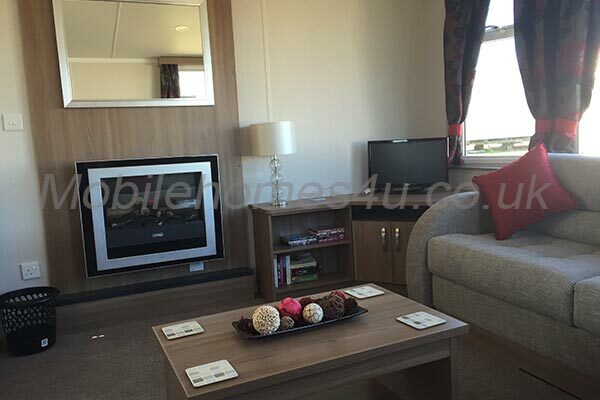 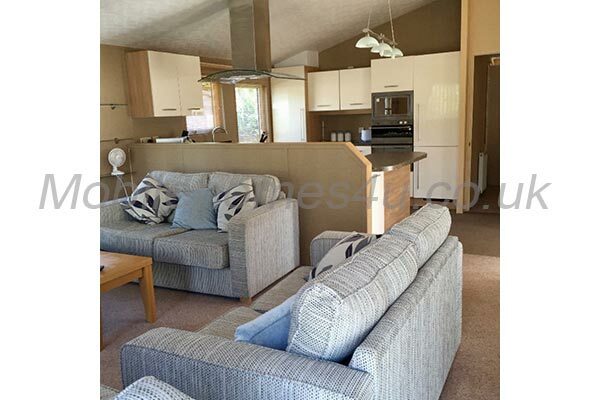 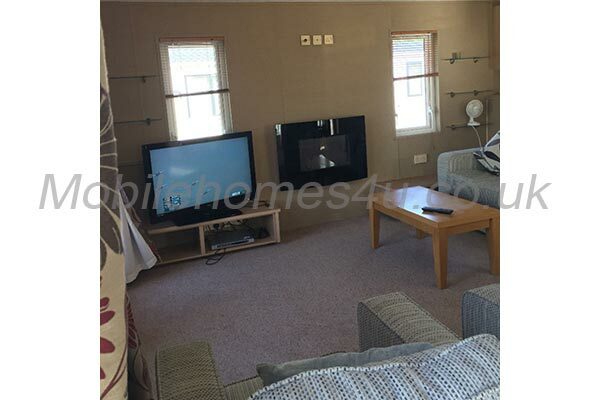 Open plan living area with plenty of seating, TV and DVD player. 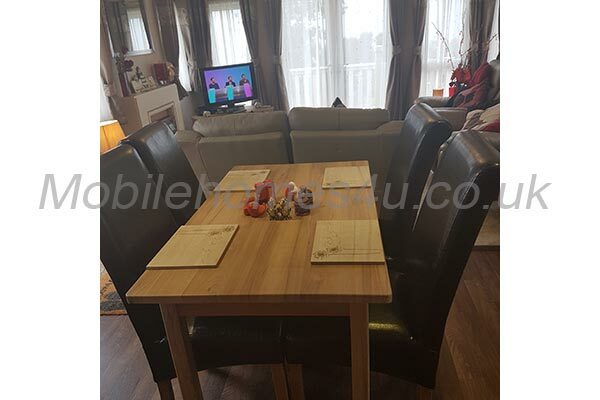 Dining Area with table and chairs. 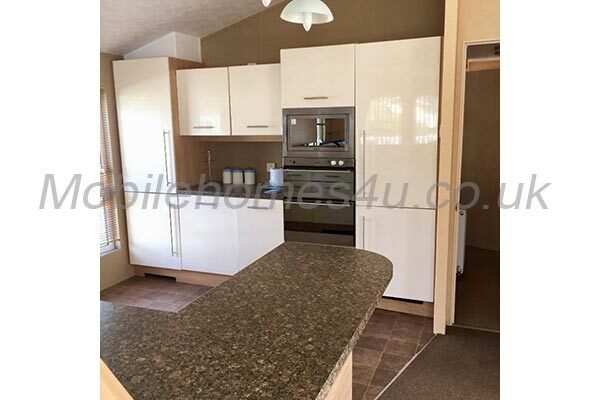 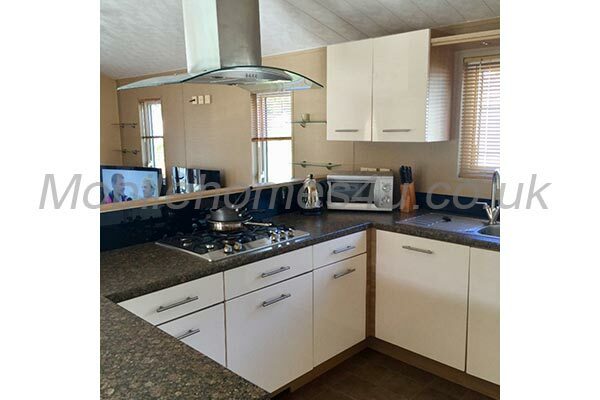 Modern kitchen with new modern appliances and everything you'll need. 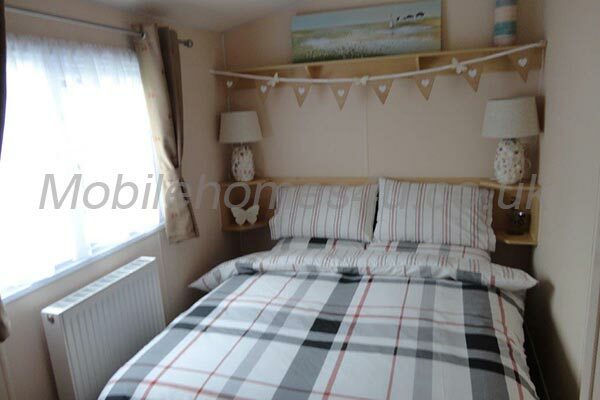 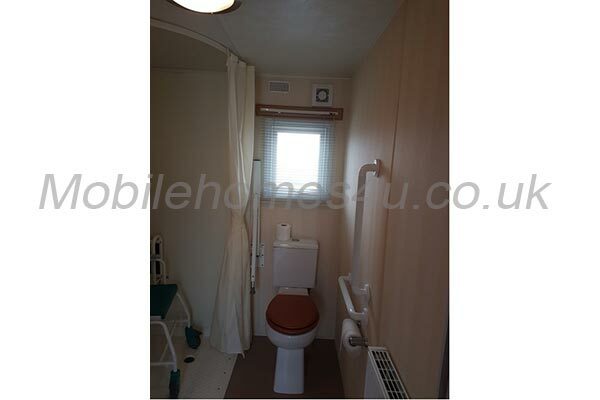 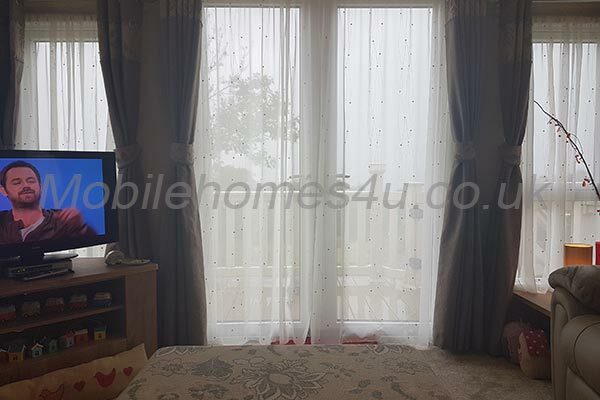 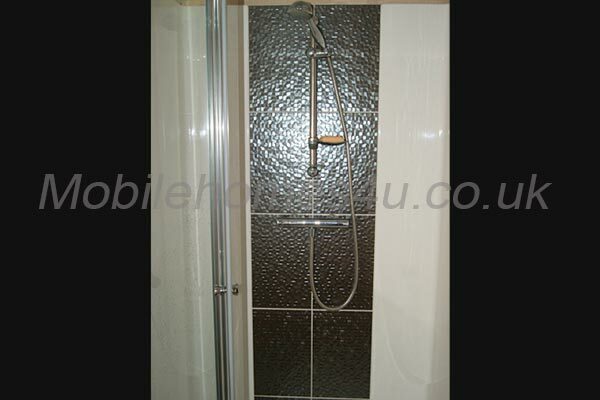 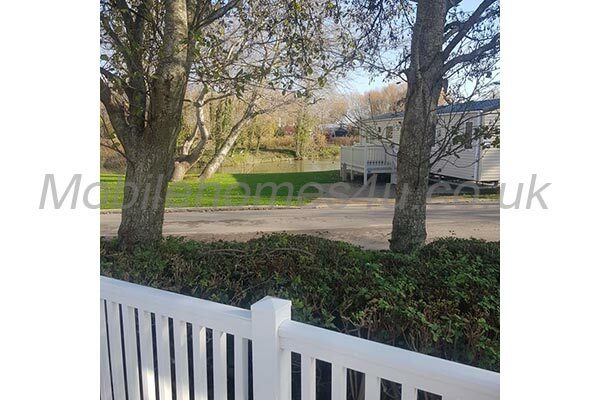 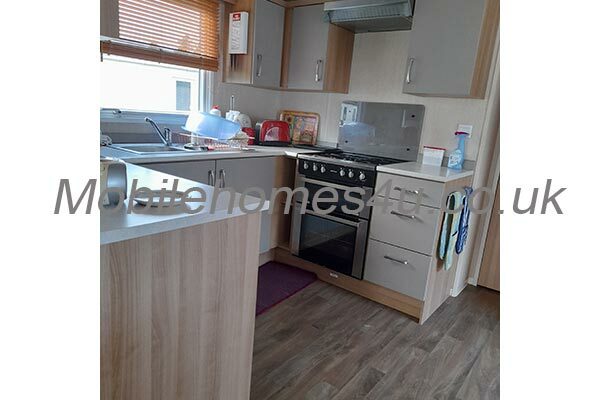 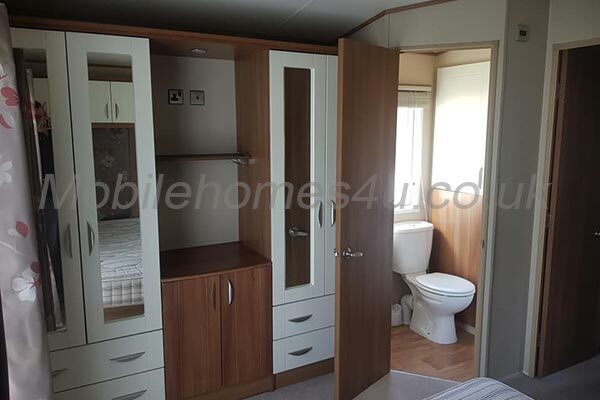 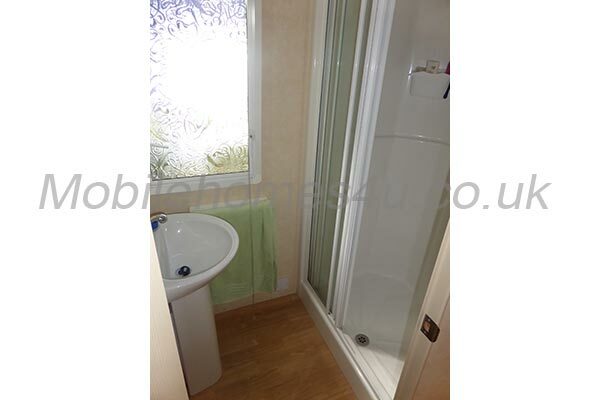 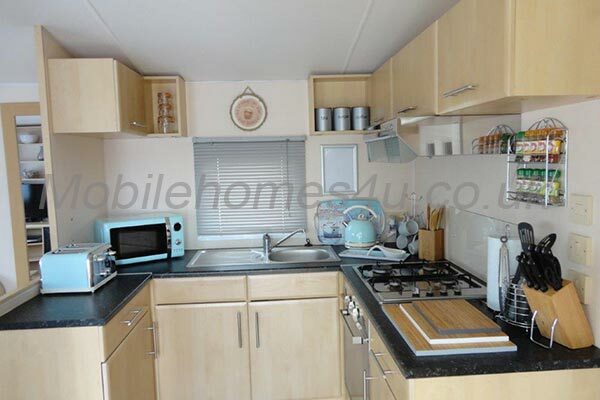 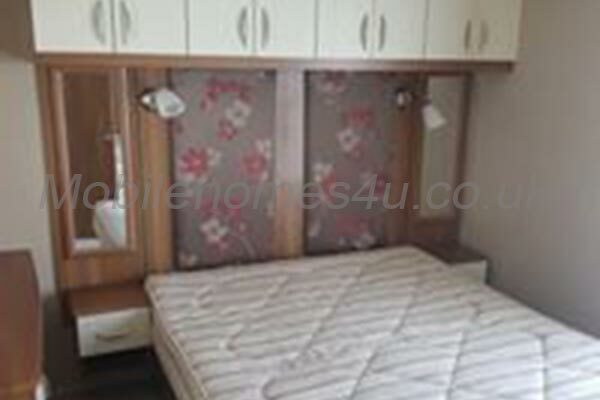 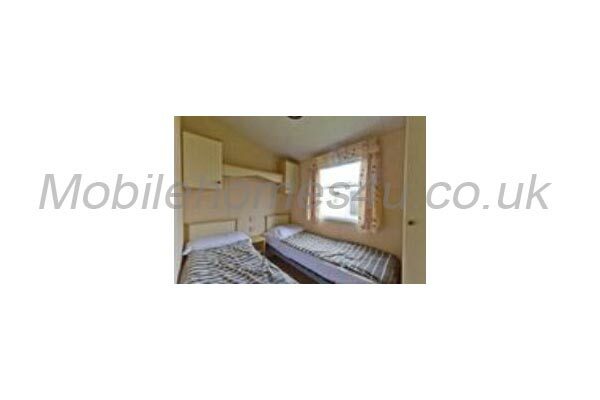 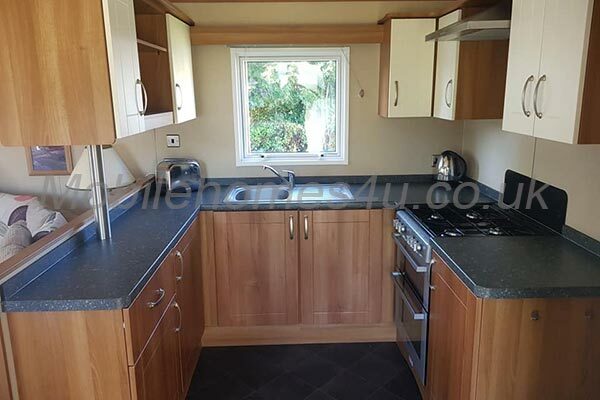 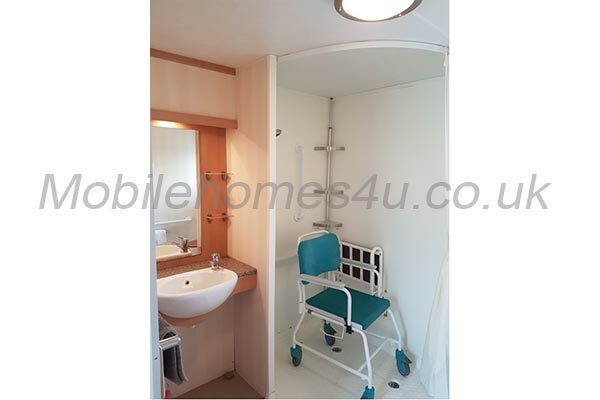 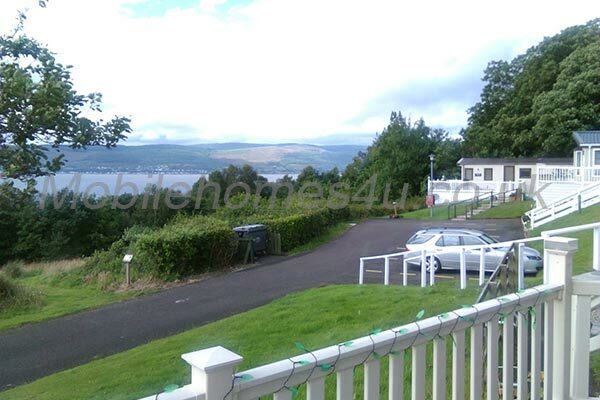 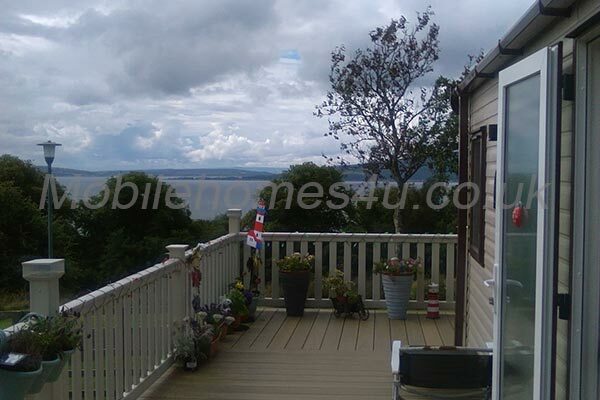 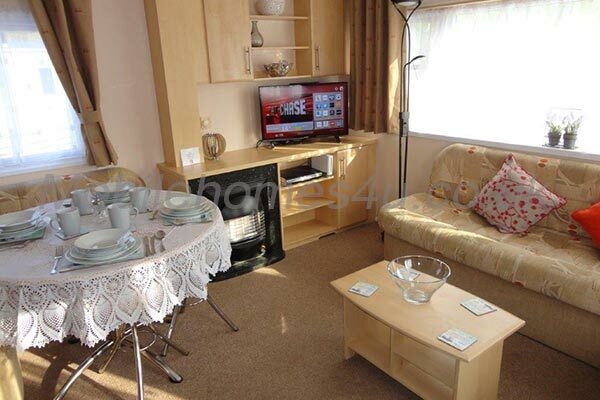 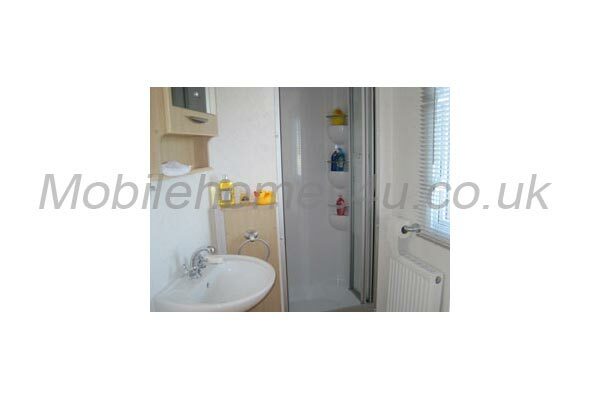 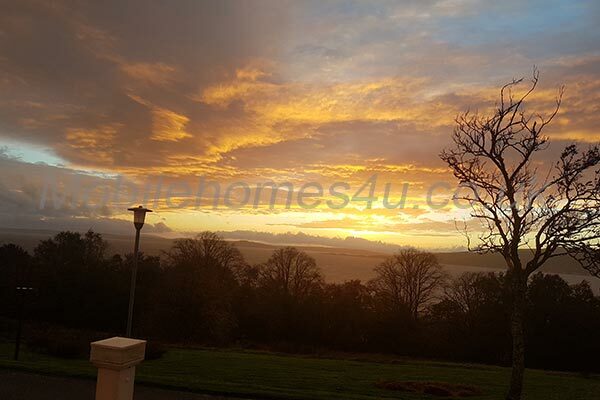 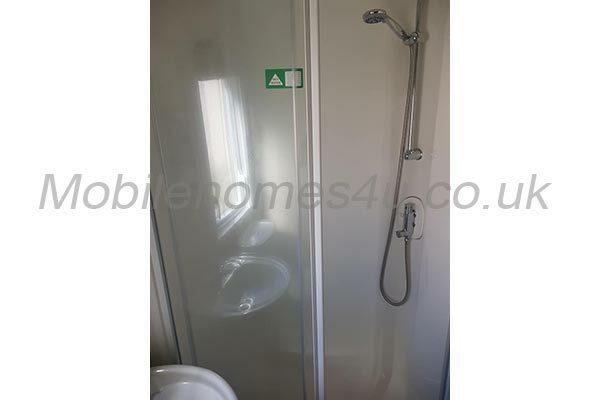 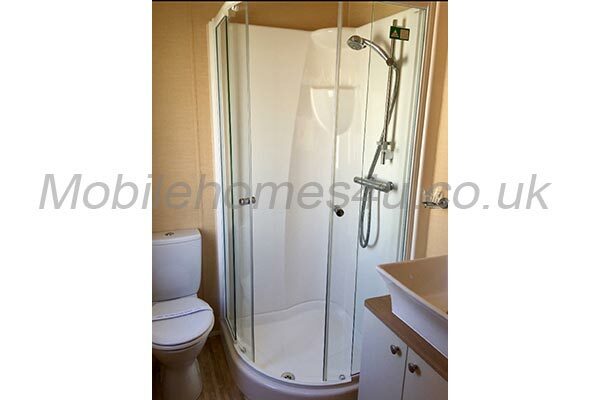 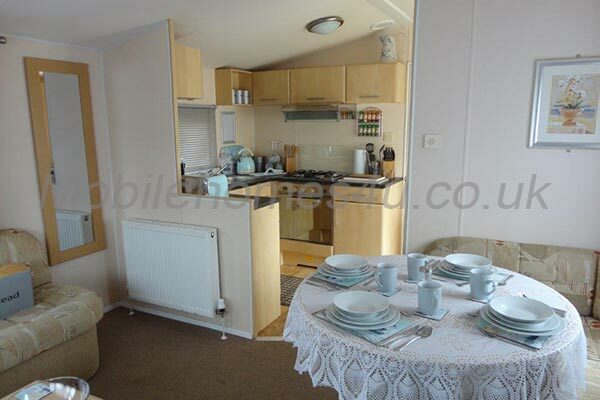 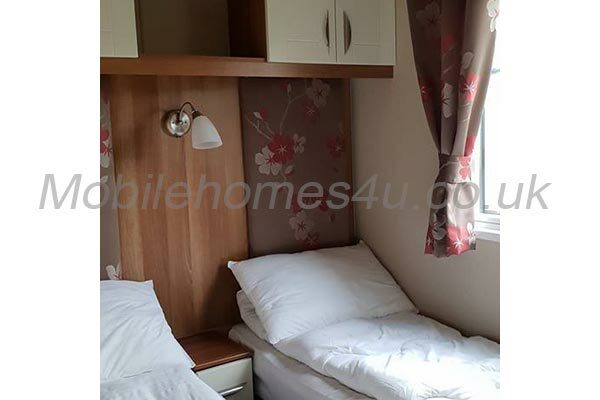 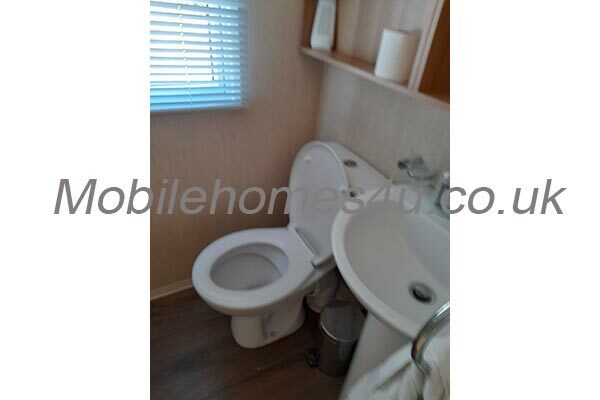 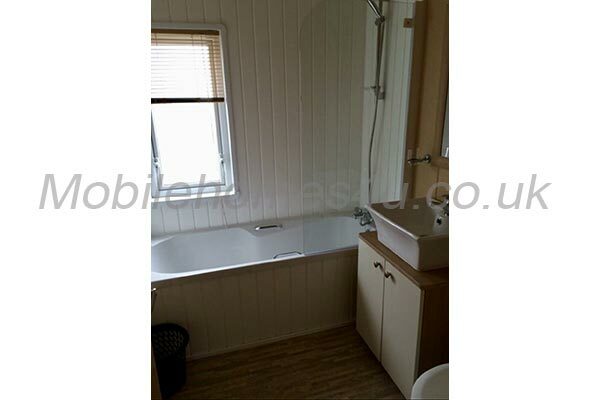 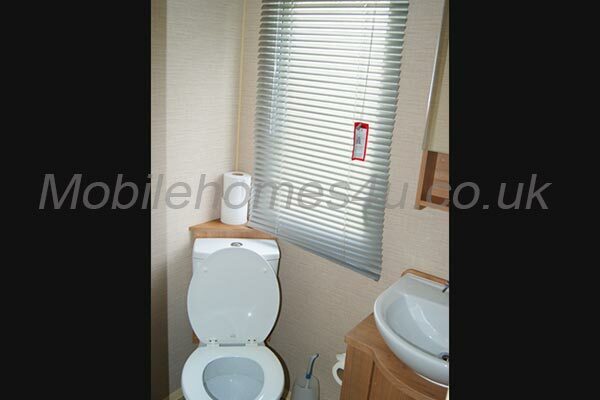 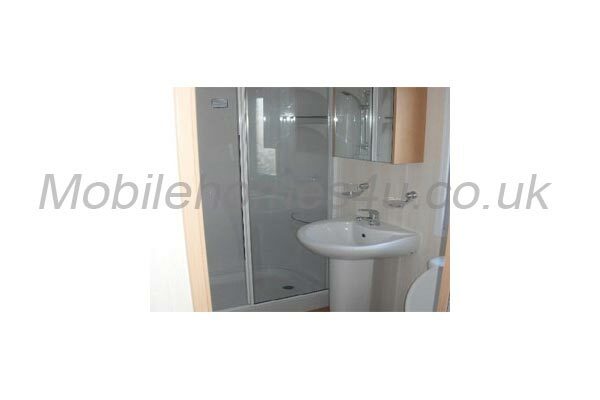 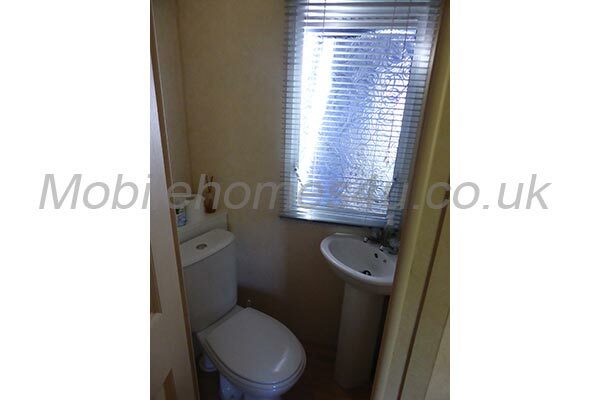 Spacious main double bedroom with en-suite WC. 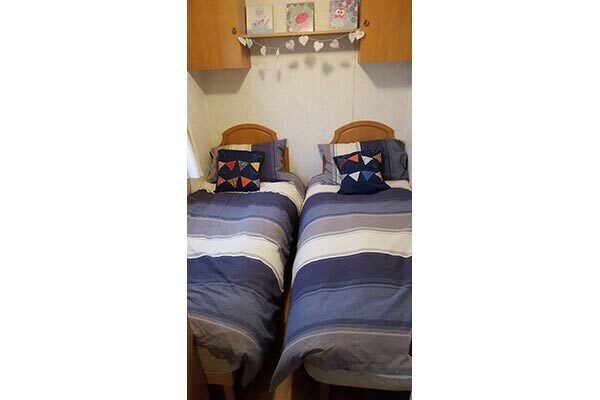 Second beroom has twin beds. 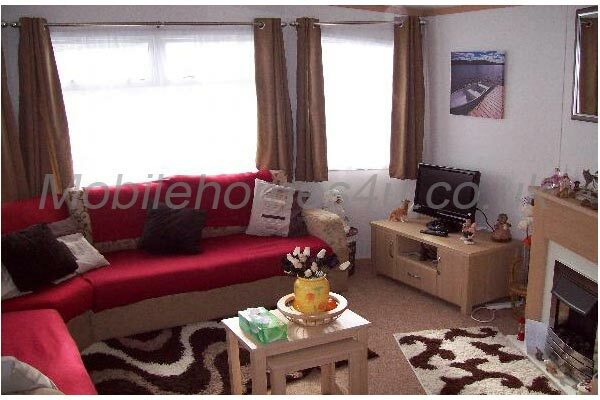 Also double fold out bed in the lounge. 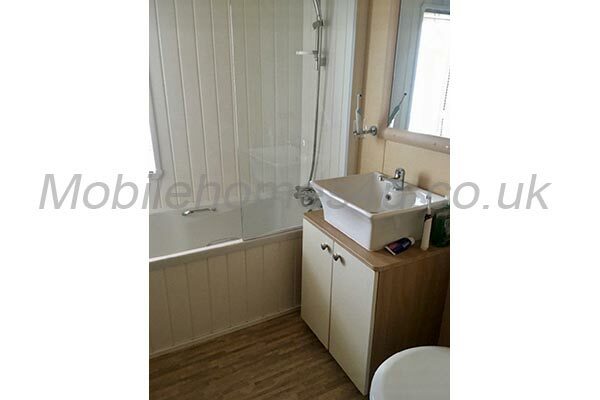 Also ensuite in main bedroom. 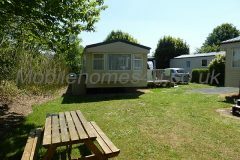 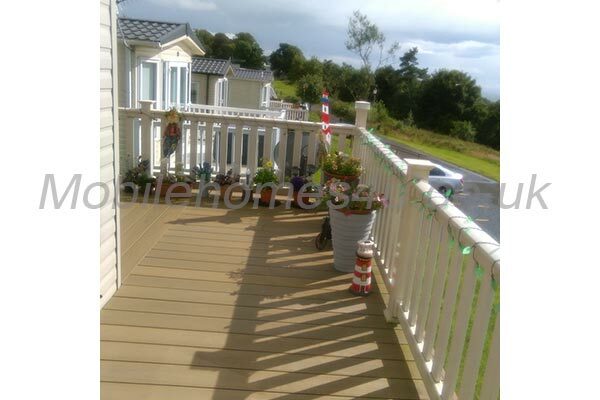 Grassed area to use with sun chairs and table. 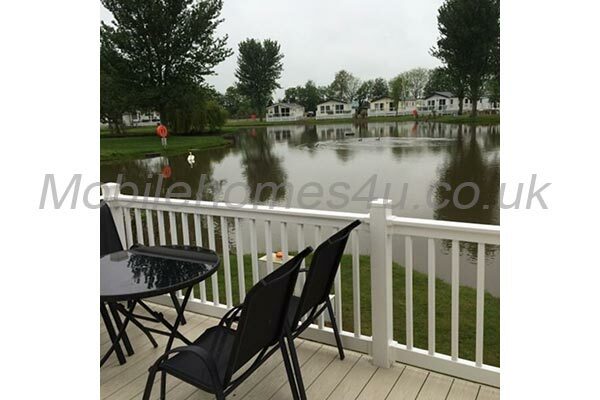 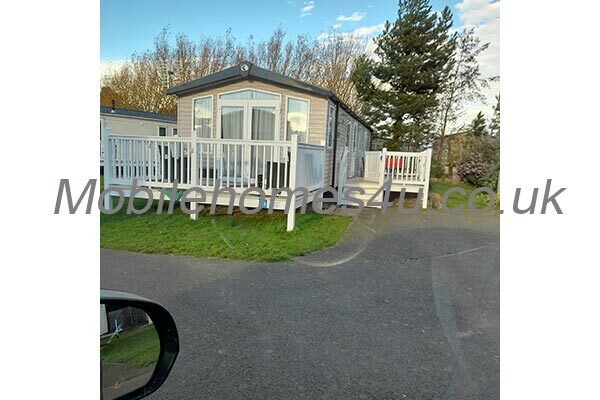 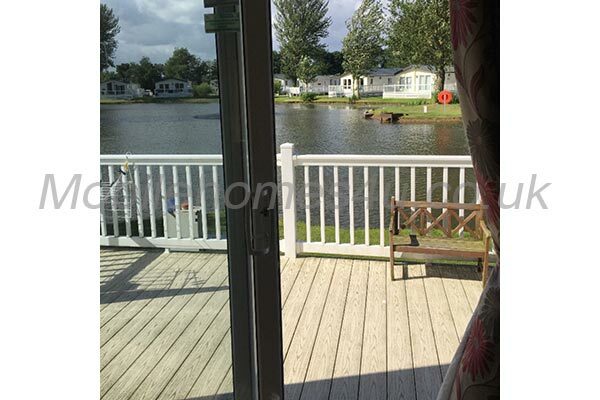 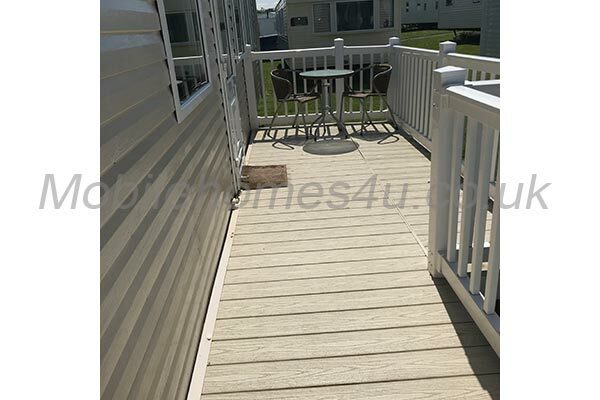 Space to park car next to caravan. 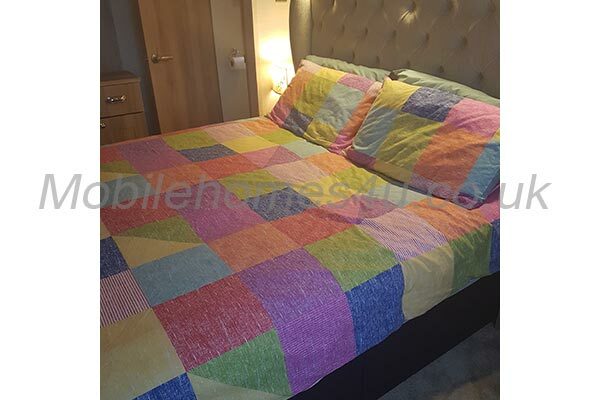 ALL BEDDING CAN BE PROVIDED FOR AN EXTRA £15. 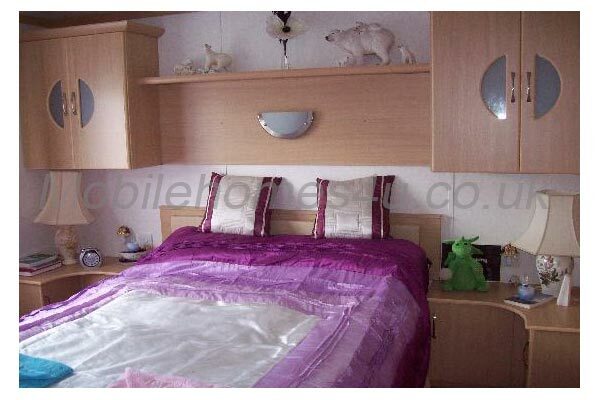 PETS ALLOWED IF WELL BEHAVED AND REFUNDABLE DEPOSIT PAID. 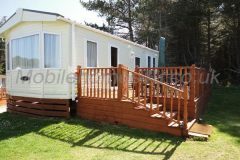 £100 deposit secures your booking, balance to be paid 1 calendar month prior to holiday (or before), payment details will be forwarded to you.